I went to Odayasu in succession. I couldn’t give up ! 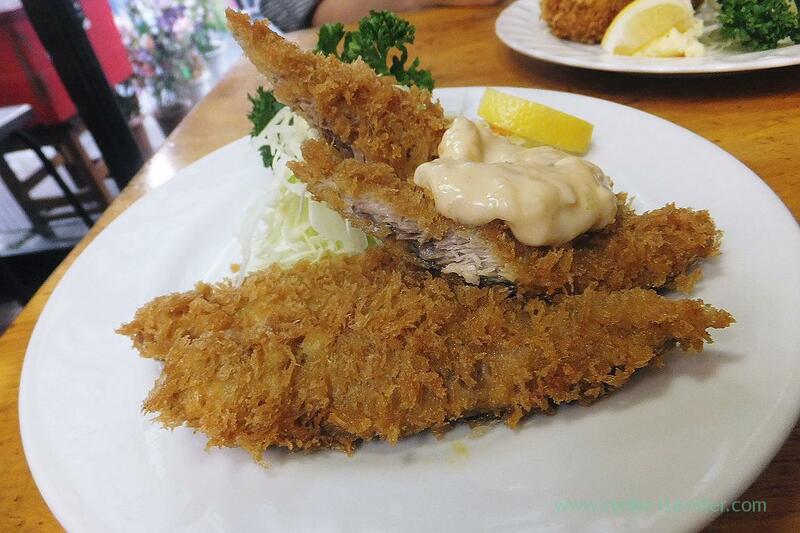 I heard they serve deep fried saury the previous day and I went to there. I thought this might be the last chance to eat deep fried saury at Odayasu. 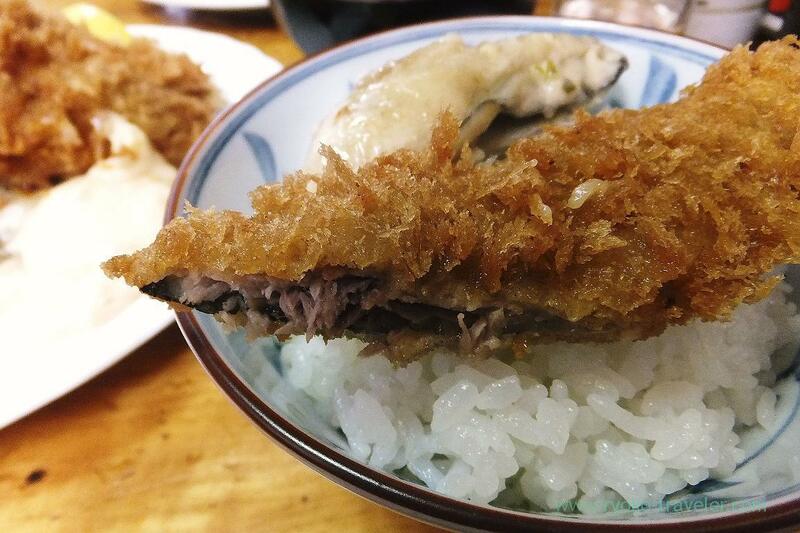 Of course, they might serve deep fried saury from now on until winter comes. But you know seasonal fresh seafood is not on the market everytime. Also now is typhoon season around Japan. 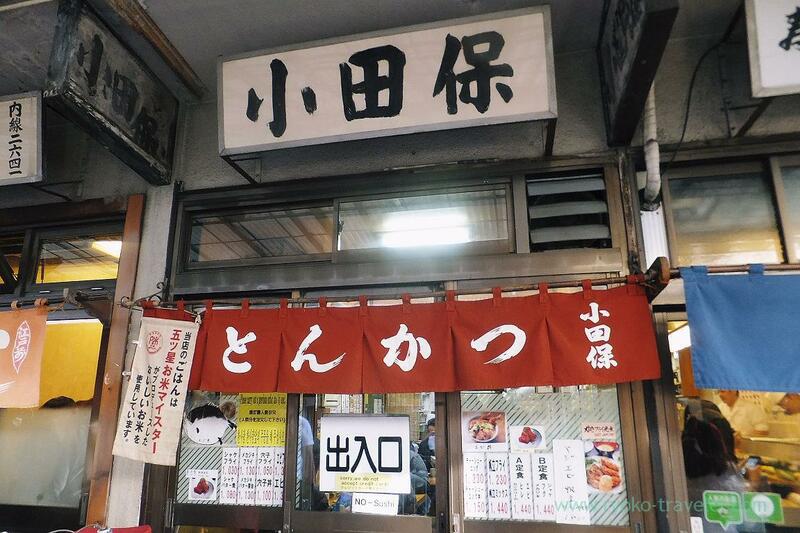 And also I heard that Odayasu has started to serve “Kaki Mix” (Deep fried oyster and fried oyster with butter set) from the beginning of this October. I decided to eat both. Mostly whenever I go to Odayasu, I go there by myself. there was the word “Deep fried Saury” on the menus. I was so excited and ordered it ! after a while, my longing saury came to our table ! I remember that at first when I saw the whiteboard menu by my friend’s photo, the price was 700 yen. Maybe it was smaller than that time. They say this year’s saury is small and not fatty. But as for me, anyway, I was just satisfied with eating saury because I had few chance to eat saury this season. Every time I post about this food at my blog, it is hard for me to decide how to transfer its name in English. Now I decide not to transfer it in English. 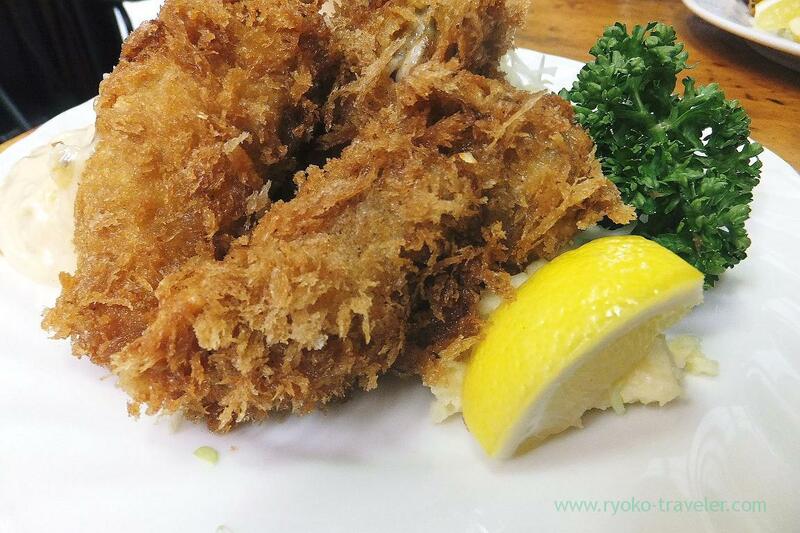 Kaki Mix is teishoku set that have deep fried oysters and fried oysters with butter. 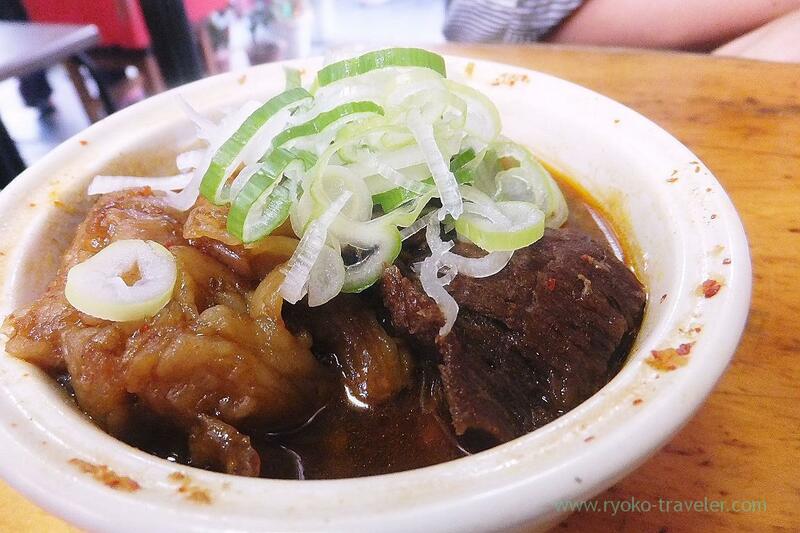 Of course it have rice, miso soup (and sometime pickled vegetables….). 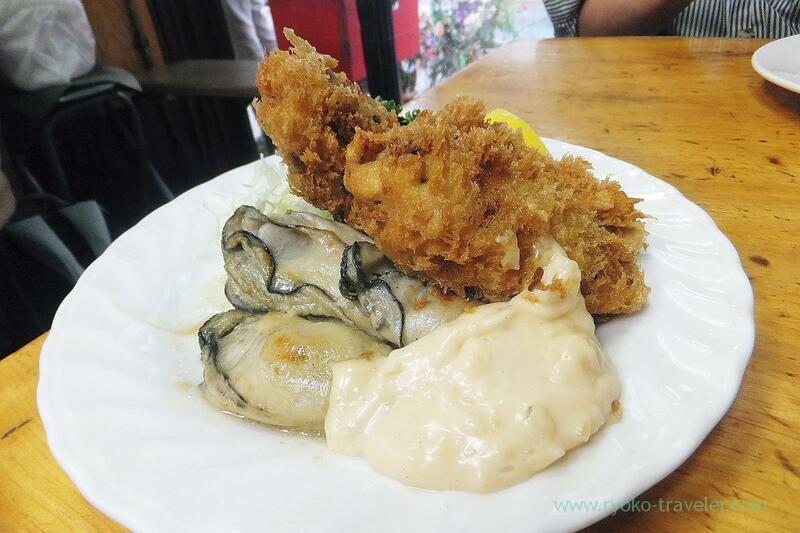 That day, three deep fried oysters and three fried oysters with butter on the dish. Those were quite large ! In recent years, oysters were very small until end of years. Deep fried oysters have one oyster each. I expect that oysters will become so large around December ! Oh my ! I’m looking forward to welcoming December ! Putting saury and oyter on the rice together ! This season only ! This food might be good for nikomi bowl by myself, as my another friends did. I was completely satisfied with Autumn foods and can welcome winter !